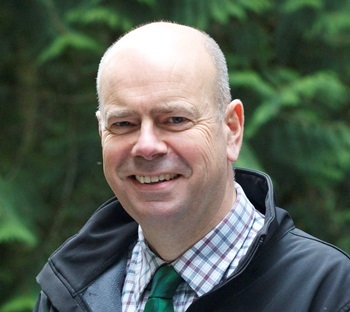 The Institute of Chartered Foresters (ICF) has welcomed recent changes to the Glastir Woodland scheme, which recognise ICF membership. A new set of terms and conditions for the registration of Glastir Woodland Management Planners in Wales requests membership of ICF, or a similar professional body, and adherence to the ICF Code of Conduct. Glastir Woodland offers grants under the Rural Development Programme, for operations like woodland creation and restocking, particularly in areas affected by pests and diseases. The management plan is the prerequisite to funding under Glastir Woodland schemes, and applicants to any Glastir Woodland scheme must use a Registered Glastir Woodland Management Planner to prepare and submit their plan. ICF Vice President David Edwards FICFor welcomes changes to the Glastir scheme. “It is really important that when replanting larch woodland, we get the right tree in the right place for the right reason, to increase the resilience of the woodland to climate change and future disease threats. That is why we require woodland owners applying to the scheme to prepare a forest management plan drawn up by a listed Forest Management Planner with professional qualifications, and is consistent with the UK Forestry Standard which is the benchmark for sustainable forest management. Sonia Winder MICFor, Forest Manager at Tilhill Forestry, was one of the first Chartered Members of ICF to be registered as a Glastir Woodland Management Planner, under the scheme’s new terms and conditions. She said: “Welsh Government cites the ICF’s professional and ethical standards as being essential for every Management Planner. These are not aspirations, they are fundamental standards which we should apply in our whole professional lives.